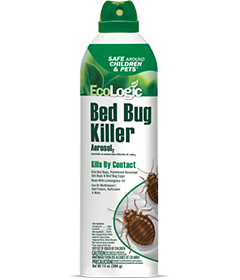 For control of bed bugs and bed bug eggs: Apply as a spot treatment to cracks and crevices around baseboards, floorboards, bedboards and walls. Allow treated surfaces to dry thoroughly before use. Inspect area and repeat after two weeks while bed bugs are present. For persistent infestations, consult a professional applicator. To treat beds for bed bugs and bed bug eggs: Disassemble the bed frame and remove bedding. Do not apply product to bedding. Apply this product to the bed frame, mattress and box spring. Application to mattresses and box springs is intended for treatment of seams, edges and tufts only. Do not saturate the mattress or box spring. Do not treat the entire surface of the mattress or box spring. Allow the spray to dry before using the mattress and/or box spring. Also apply the product to cracks and crevices in the sleeping area such as baseboards, behind pictures/wall hangings, along and underneath carpet edges and other articles/furniture in the bedroom or sleeping area. Do not apply to stuffed animals or toys. To treat luggage for bed bugs and bed bug eggs: Remove contents and spot treat areas that may harbor bed bugs, concentrating on corners, pockets inside the luggage and seams. Allow luggage to dry before reuse. To kill fleas, thoroughly vacuum area to be treated. Adjust spray to create a fine spray. Evenly apply a fine mist or spray to carpets, rugs, drapes and surfaces of upholstered furniture by using a wide sweeping motion. Also spray floors underneath furniture, sofas, chairs and beds. Do not saturate surfaces. Treat or thoroughly wash pet bedding, a primary hiding place for fleas. Repeat as necessary. Do not spray humans or pets with this product. NOTE: Test an inconspicuous sample of fabric, rug, flooring or painted/stained surface for discoloration before use. Storage: Store in original container, in a cool, dry area inaccessible to children and pets. Protect from heat and freezing. Store between 40°F and 90°F. Container Disposal: Do not puncture or incinerate! If empty: Nonrefillable container. Do not reuse or rell this container. Place in trash or offer for recycling if available. If partly filled: Call your solid waste agency for disposal instructions. Never place unused product down any indoor or outdoor drain. CAUTION. Causes moderate eye irritation. Avoid contact with eyes, skin or clothing. Wash thoroughly with soap and water after handling, and before eating, drinking, chewing gum, using tobacco or using the toilet. Prolonged or repeated skin contact may cause allergic reactions in some individuals. ame. Do not puncture or incinerate container. Exposure to temperature above 120°F may cause bursting.